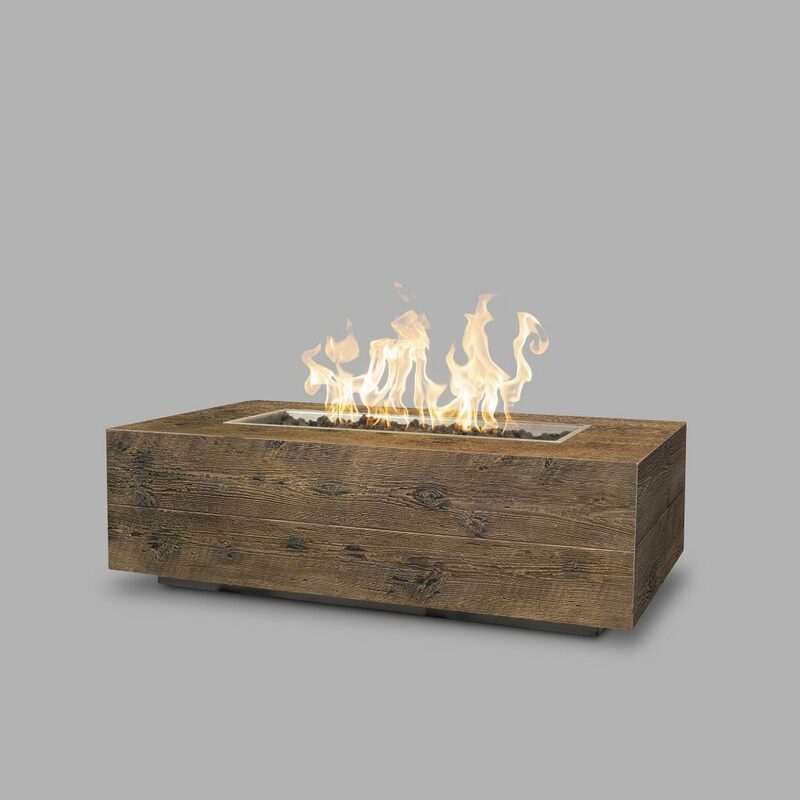 Motown Fire offers a wide selection of outdoor fire products from ” The Outdoor Plus Company”. All there products we carry are hand made in the US. There innovated designs use less gas and provide higher flame height. There concrete fire pits and tables are made with color matched GFRC (Glass Fiber Reinforced Concrete). The GFRC makes the bowl more durable than that of competitors. There products come in match lit or electronic ignition and use propane or natural gas. Contact us for pricing and installation. 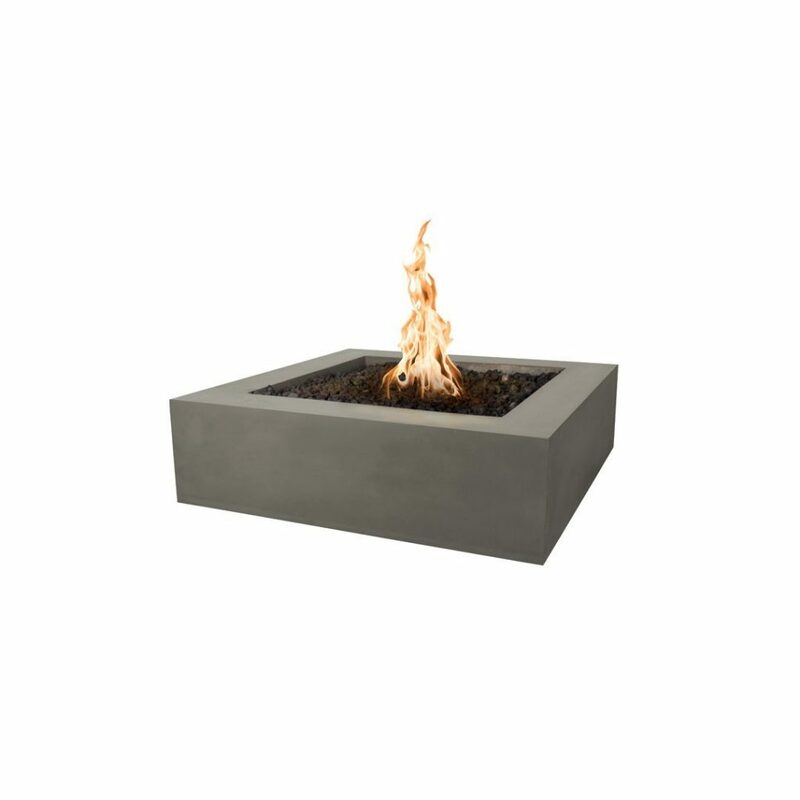 The Regal fire pit comes in 48 inch, 54 inch, or 60 inch linear length and 7 different colors. These pits offer a lower profile with 13 inches of height. Call for more information regarding price and installation. The Coronado Fire Pit was derived from Spanish influences. 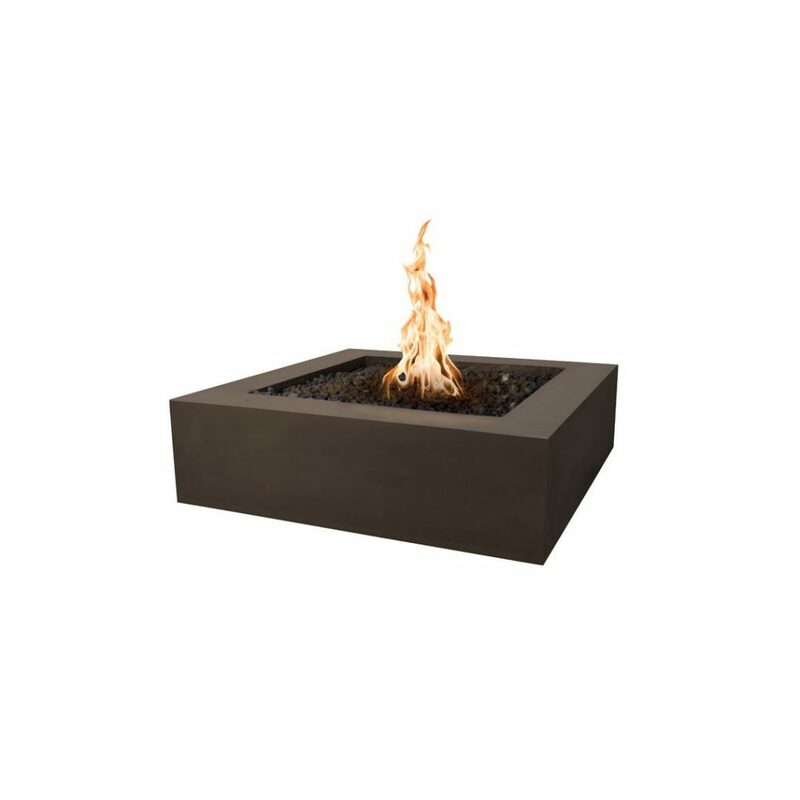 The Coronado is a strong and classy rectangular fire pit that incorporates well with its surroundings. The wood grain finish on this Coronado makes it a unique, natural looking addition to your backyard. 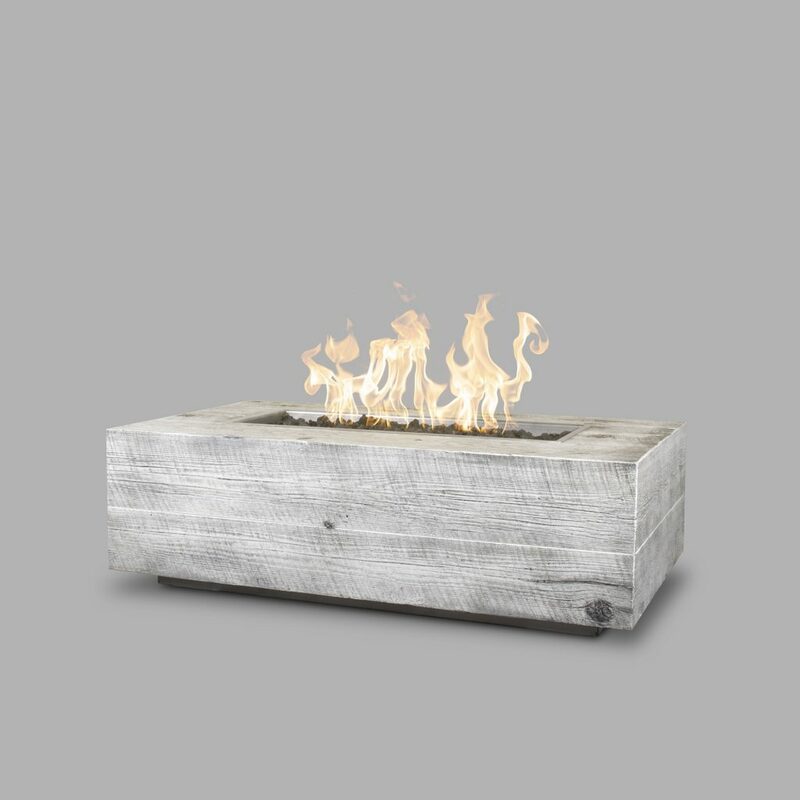 These fire pits are durable and long-lasting in a variety of environments. Call for pricing. 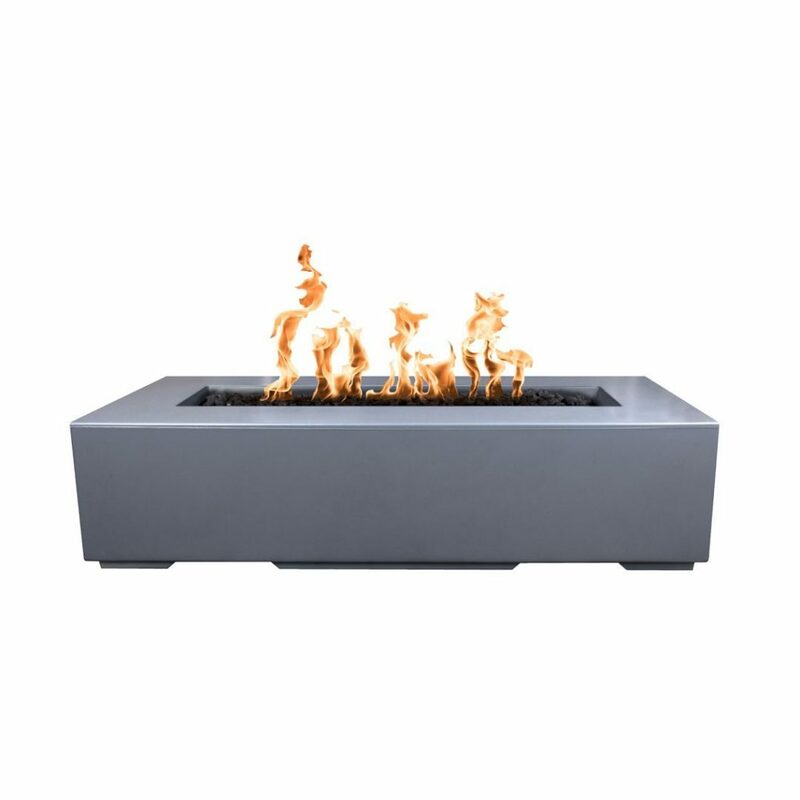 The Quad concrete square fire pits come in 7 different colors. Sizes are 36in. x 36in. or 42in. x 42in. with a low profile of 12 inches in height. Great addition to any outdoor space. Contact us for pricing and installation. 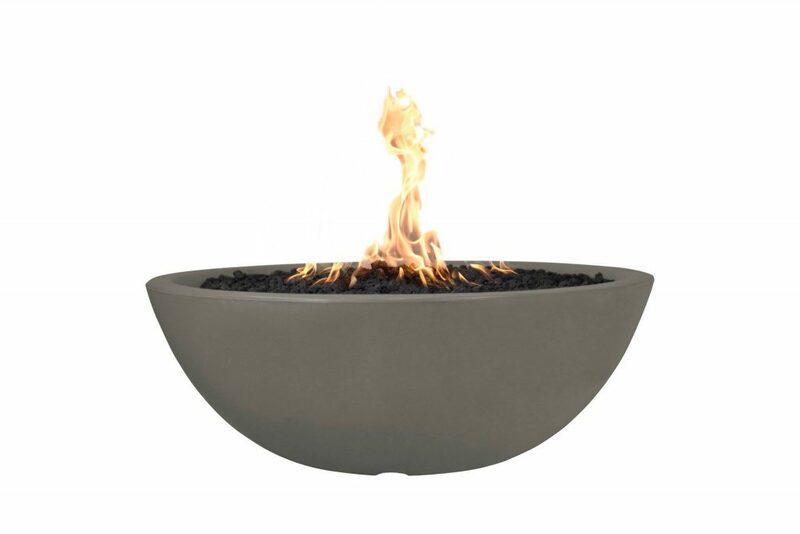 The Sedona fire bowls come in 27 inch or 33 inch sizes and 7 different colors. 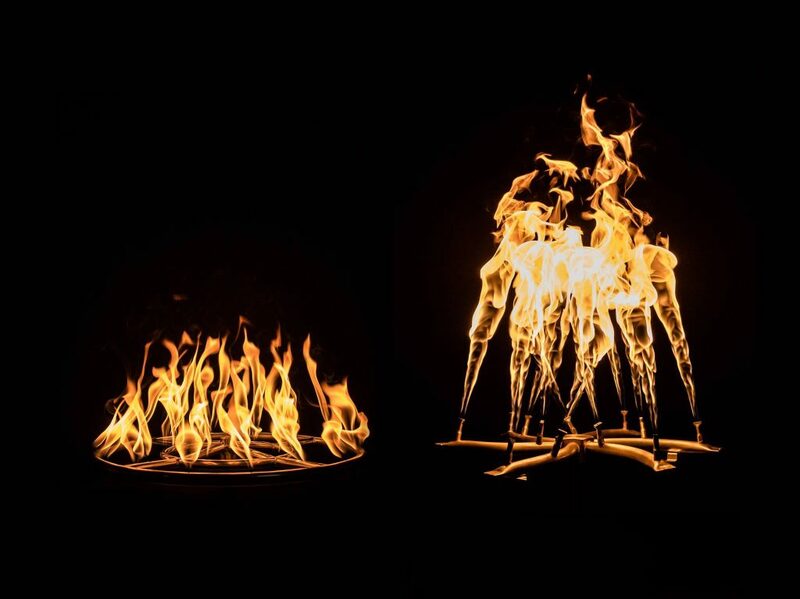 These fire bowls are individually handmade and proudly manufactured in the U.S.A. Call for more details. Each torch is individually hand crafted at The Outdoor Plus company and made out of 304 stainless steel. 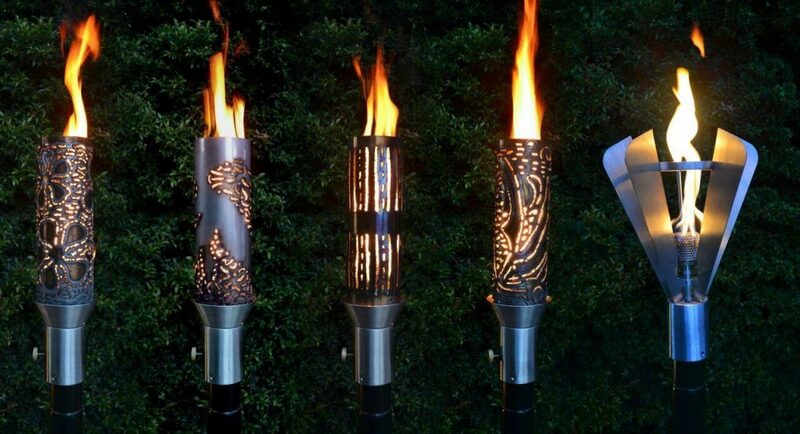 Quality craftsmanship separates these torches from the rest. Give us a call on pricing and different styles. 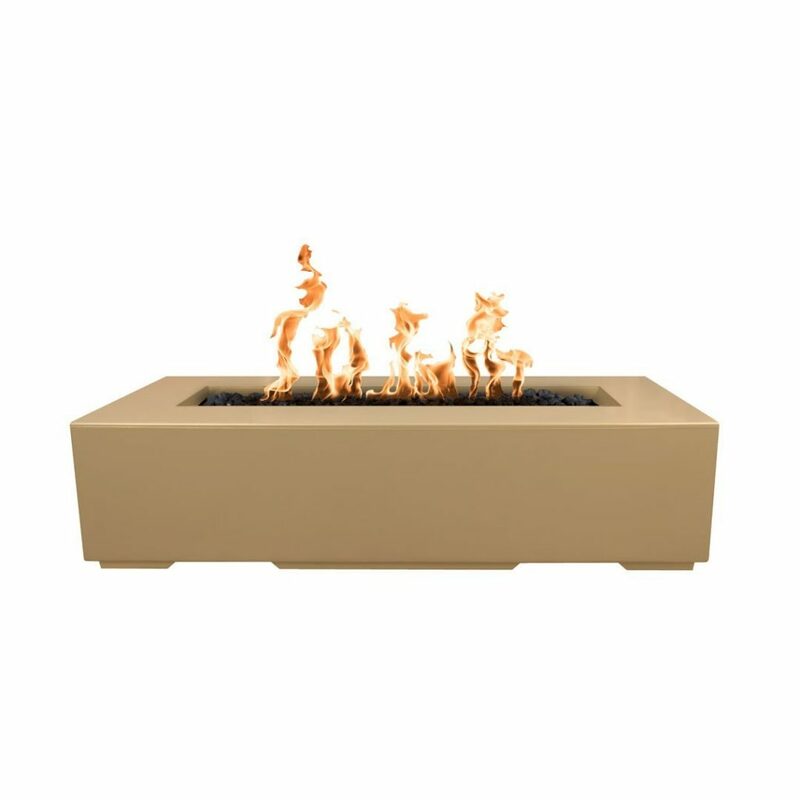 We carry high grade 100% brass construction gas fire pit burners that offer a lifetime warranty. 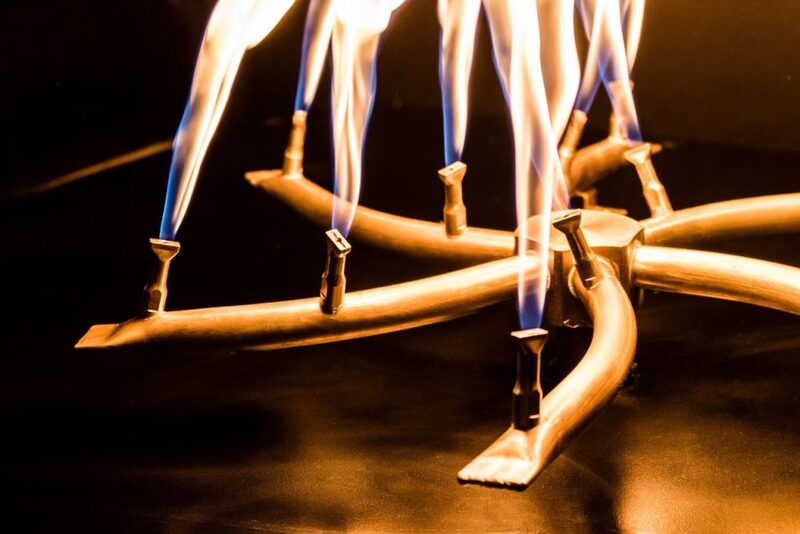 These bullet burners by The Outdoor Plus company provide you with a 50% higher flame and use 30% less gas than other imported burners. 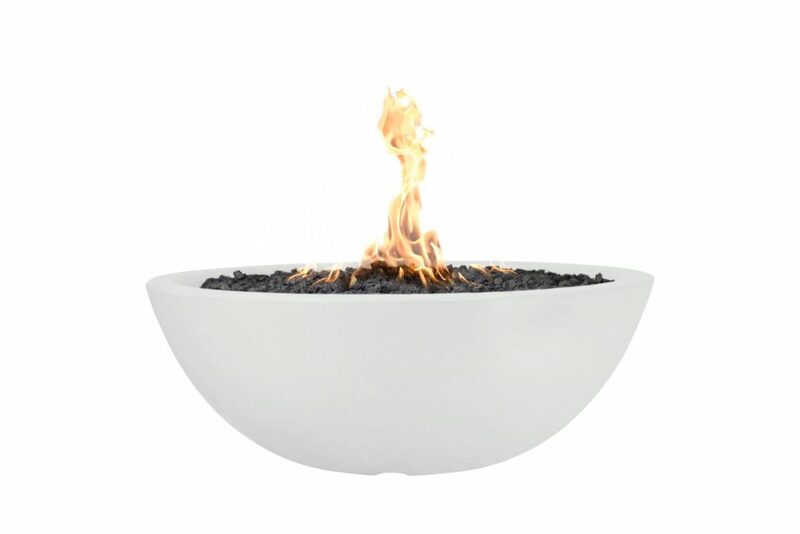 These come in a variety of sizes to fit any standard or custom made fire pit. Give us a call for pricing.